Although you've probably heard of snow tires, there are a few other types of winter tires that are important to consider. 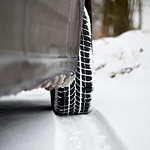 The most common type of winter tire is the snow tire. These tires have a design on them that make it easier to add chains for better grip in the snow and ice. 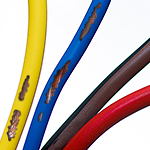 As a vehicle owner, you’re probably aware of the importance of using quality fuel and keeping the tires properly aired up, but you might not know about the amount of damage that rodents can wreck under the hood and inside of your vehicle. Here are a few facts about rodents that every driver needs to know. Aside from its full-size V-8 power and performance, customers love the advanced technology that is available on the new Chevrolet Tahoe. 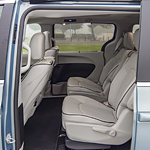 This popular full-size SUV has the power and cargo capacity that people have come to expect, but it also has some of the most advanced technology to keep you connected. Let’s learn a little bit more about this technology. 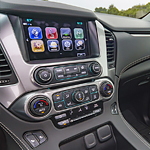 When it comes to keeping you connected, the new Chevrolet Tahoe is something you can count on with eight available USB ports and a built-in 4G LTE Wi-Fi hotspot. 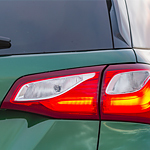 Purchasing a used car presents a question mark to the shopper. Chevrolet's certified pre-owned program should put some buyer's concerns to rest. The manufacturer institutes specific guidelines designed to address worries about buying a pre-owned vehicle. 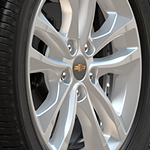 Inspections are mandatory with vehicles sold under Chevrolet's certified pre-owned program. Each model must go through a detailed inspection process to ensure the car is in excellent condition. A vehicle undergoes repairs and reconditioning to fix any existing troubles. Here at Dunning Motor Sales, the Chevrolet Colorado is a top choice among consumers. 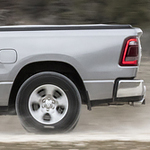 The mid-size pickup truck comes loaded with a number of features. With the Chevrolet Colorado, you can choose between three engines that offer outstanding power and efficiency. The available GM-exclusive Duramax 2.8L Turbo-Diesel engine can produce up to 181 horsepower and 369 lb.-ft. of torque, which is best-in-class. This engine also offers best-in-class towing of 7,700 pounds and best-in-class city fuel economy of 20 MPG. When you are looking for exceptional style all wrapped up in a compact package, look no further than the new Chevrolet Equinox. This popular small SUV crossover has all of the bases covered with its impressive performance partnered with a host of expertly crafted design features. New 2019 SUVs Arriving At Dunning Motor Sales! It is hard to believe that 2018 is coming to a close but that means that the new 2019 SUVs are arriving at our dealership and now is the best time to come down to see what you can expect from a 2019 SUV. Which 2019 Chevrolet Malibu will you choose? With this popular mid-size car, you have a wide range of engine options to choose from. Whether you're headed out for a day trip around Cambridge or headed out on a road trip, there is a Malibu for you.